Favorites are a wonderful thing. Especially when it comes to food. Like chili. 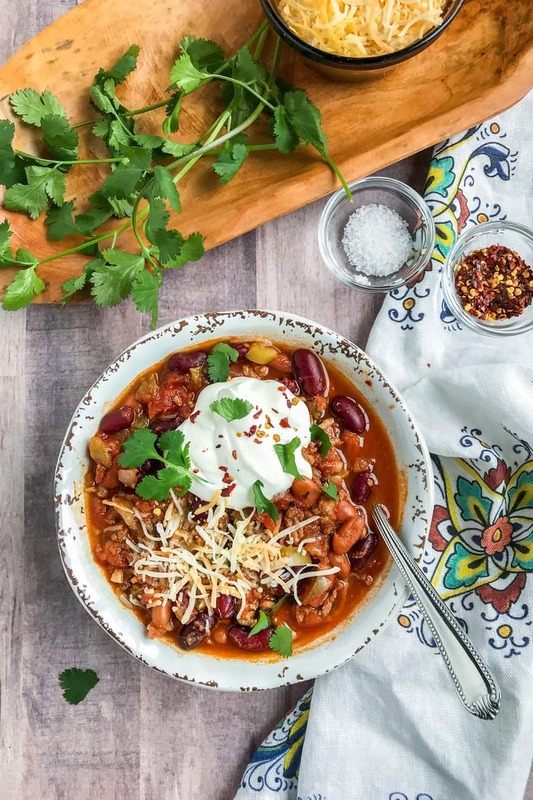 This Instant Pot Chili is my favorite recipe. And it’s incredibly easy. 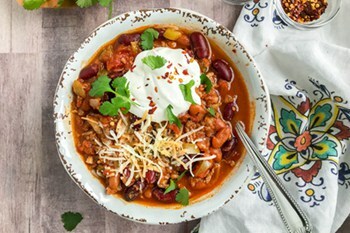 Packed with flavor, this chili has all the components you love in this favorite, hearty comfort food. Loaded with pinto and kidney beans, peppers, onions, and lean ground beef. It makes me happy just thinking about it. Especially on those days when our chilly east winds are whipping around the house. And the rain is lashing against the windows. Those are “chili” days. 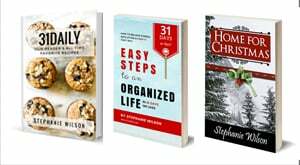 And pressure-cooker days. 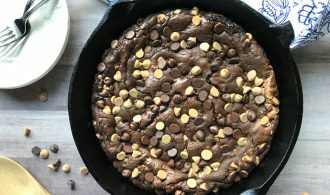 I love this method of making it. Simple, easy, and even tidy. When you’re making foods for game days, often you have several dishes. 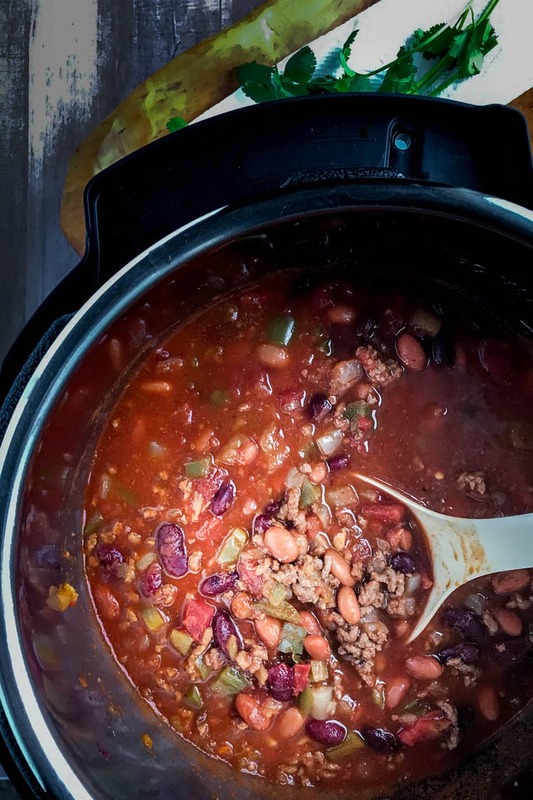 Making chili in the Instant Pot allows stove and oven space for other things. And on those nights when you want a simple, weeknight meal. It doesn’t get simpler than this. 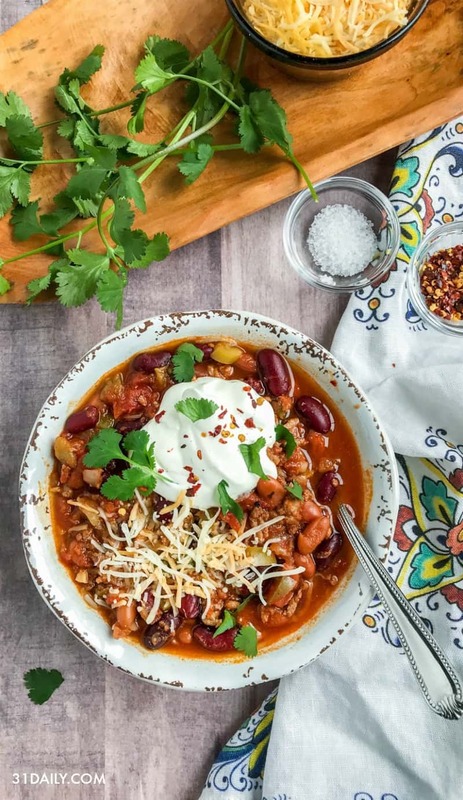 I love the flavor combination in this chili recipe. 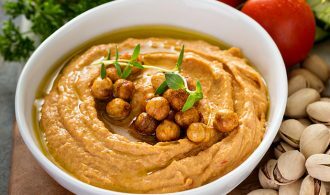 Each spice seems to build on the other and make a truly exceptional bowl of goodness. Begin with lean ground beef. My favorite is 7% fat, but that’s just my preference. Use your favorite. On the saute setting, you will cook the onions, garlic, and ground beef for 8 minutes or so. You’ll then add the fragrant herbs, the peppers, beans, tomatoes, and sauces. Give it a good stir, set the pot to cook on manual for 10 minutes and allow a natural release. That’s it. 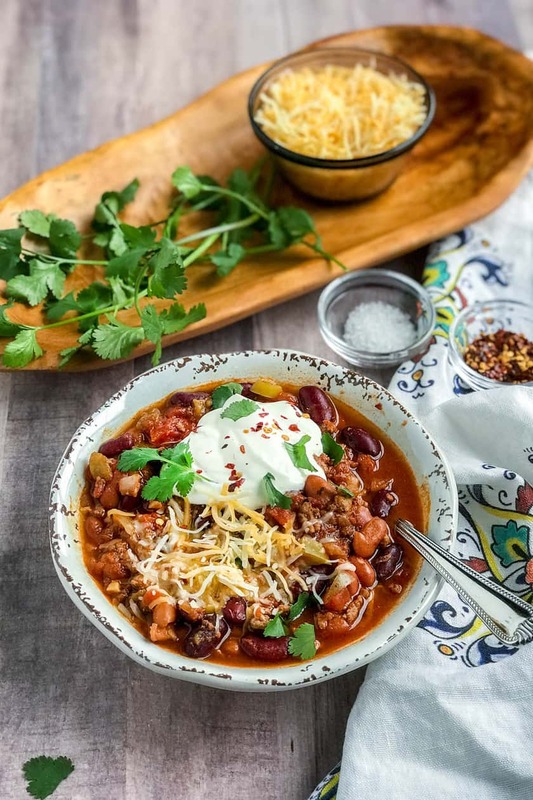 A good stir, some bowls, garnish with your favorite chili toppings: mine are sour cream, cheese, red pepper flakes, cilantro. I’ve been known to add some saltine crackers too.